I'm originally from Florida, a place known for Disney World and white beaches. It's not known for its mountains because. . .there aren't any. I don't believe Florida even has anything that could be called a hill. So, the steep mountains of Japan were new and exciting to me and I started hiking and camping soon after I arrived in the early 90's. When many people think of Japan, they can only picture the concrete jungle of Tokyo, but I felt fortunate to be able to experience the true wilderness of the Japanese countryside. I enjoyed hiking up mountains, but over the years I became very busy and soon hiking was something I did once in the summer, if at all. Recently, I have been rediscovering my beloved hobby and have gone on a few hikes. I hiked up Mt. 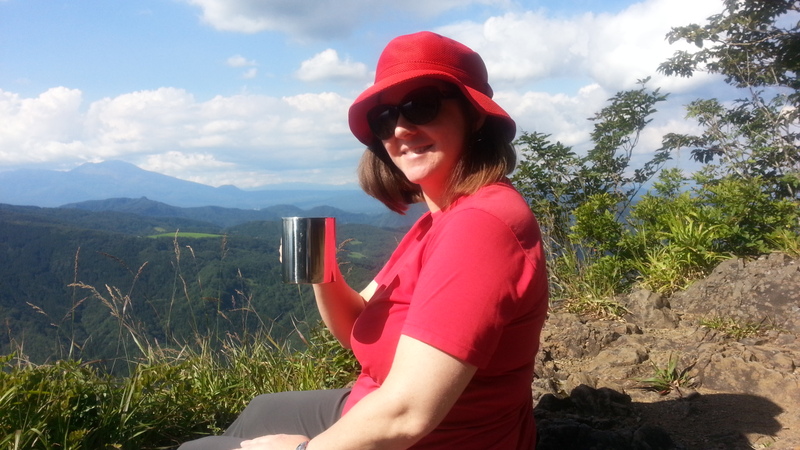 Arafune in Gunma prefecture and had a wonderful coffee break at the top! 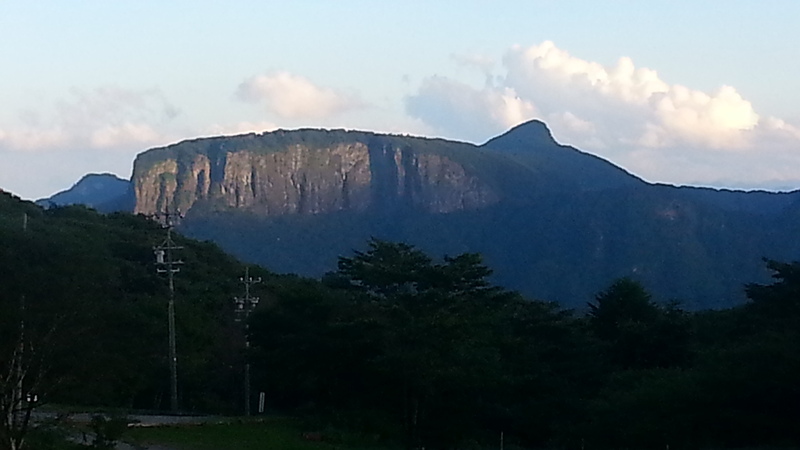 I always thought this mountain looked like a blue whale from a distance. I've always thought this mountain looks like a blue whale! We enjoyed coffee on the top of Mt. Arafune. A few weeks later, I hiked up Mt. Kinkazan. I've never climbed it before, despite the fact that it is very close to Nagoya. 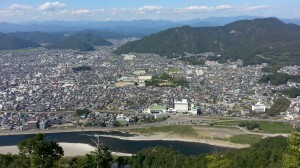 Gifu castle sits on top of the mountain and the views are incredible. I even met some samurai warriors on the way up! 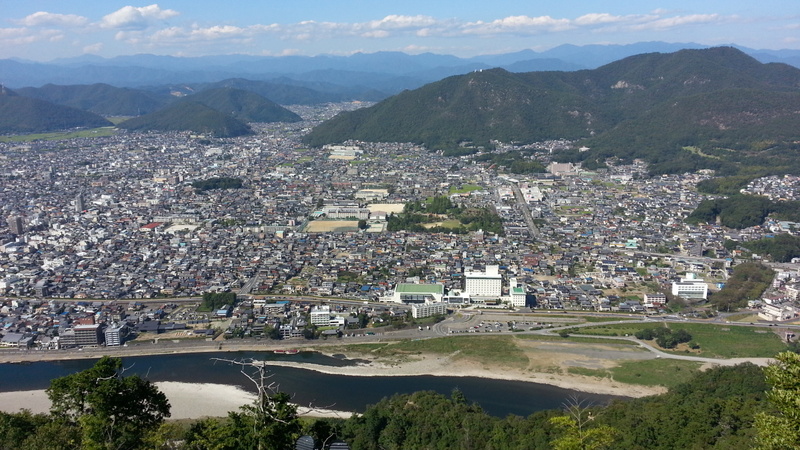 This is what Gifu city looks like from the top of Gifu castle. 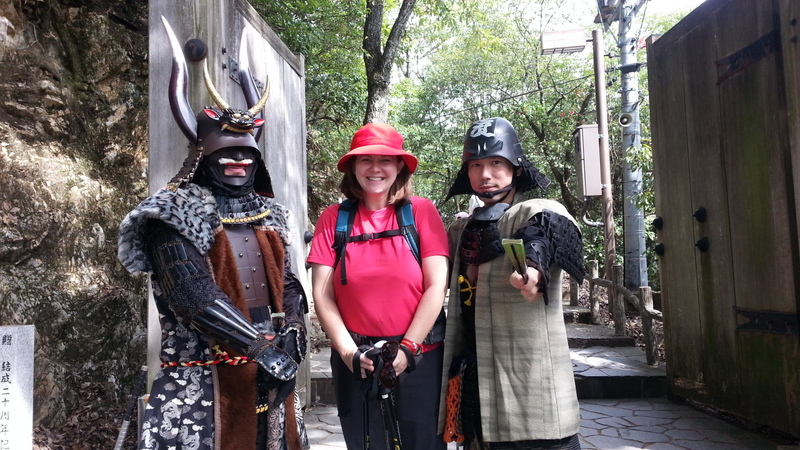 I met some samurai warriors on the way up, who demanded that I take a selfie with them. I think hiking up mountains is a lot like studying English. Too often we are only focused on getting to the top of the mountain, but if you have that attitude, you'll easily get discouraged and quit halfway through. You have to find ways to enjoy the climb, so even when the trail is rough you won't feel like giving up!